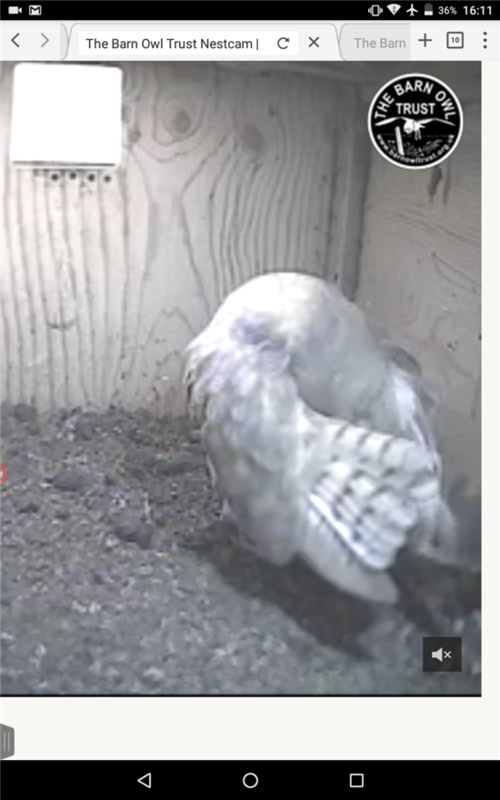 Saw your diabolical weather on radar Kate with worse to come so really hope they get a chance to gather some prey! 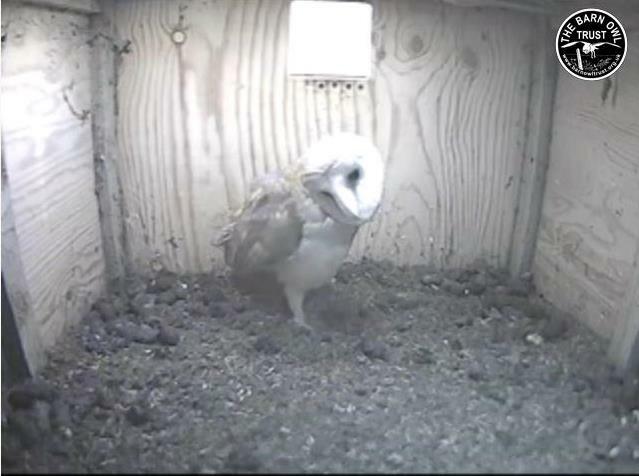 It sounds quite windy at the site. Still raining this one on back beam. Cam fuzzy, and I thought for a while ,frozen, as looks as though she is head turning CHOL:):) but it is the mark on wall. 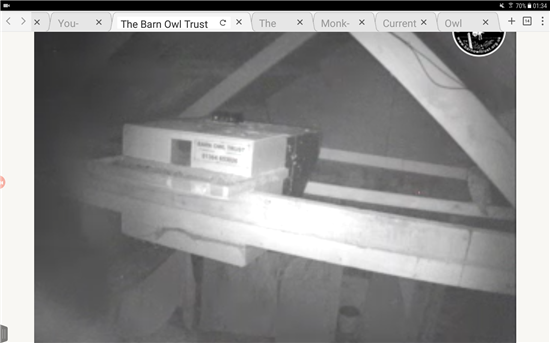 EDIT - it now seems to have disappeared from view. 21:21 Now there is, very close to the barn, 4 or 5 long rasps. A brief lull and then the calls started again. 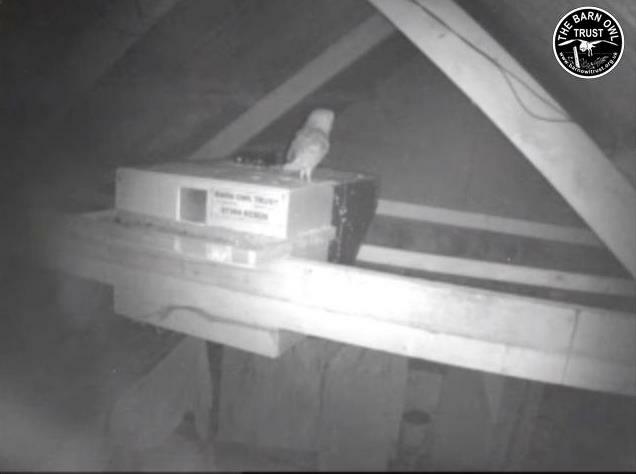 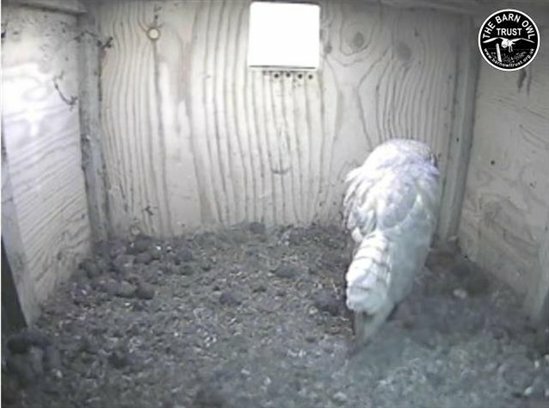 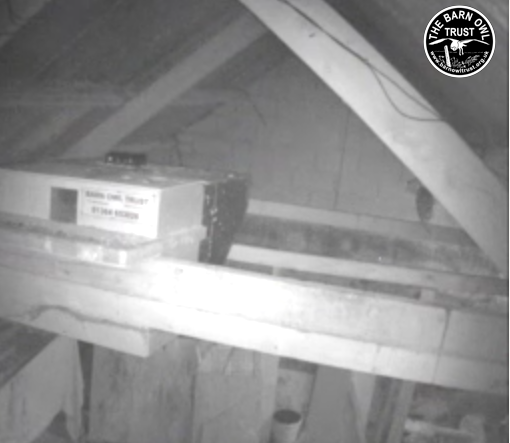 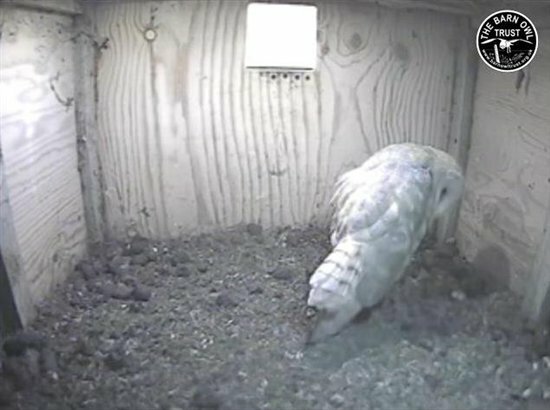 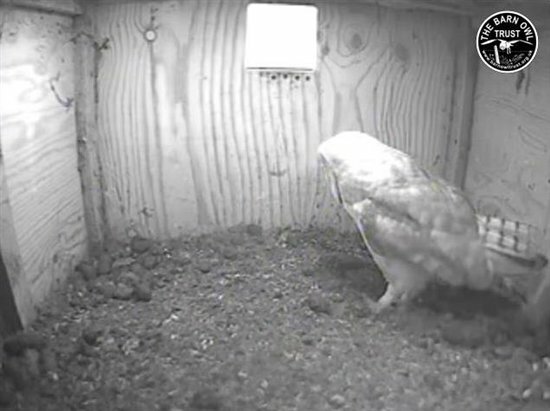 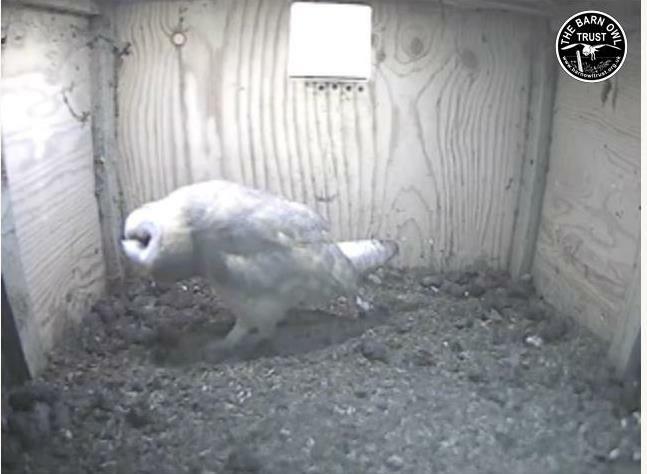 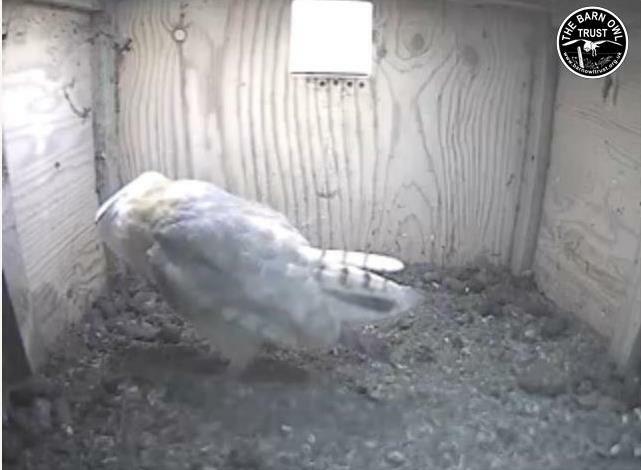 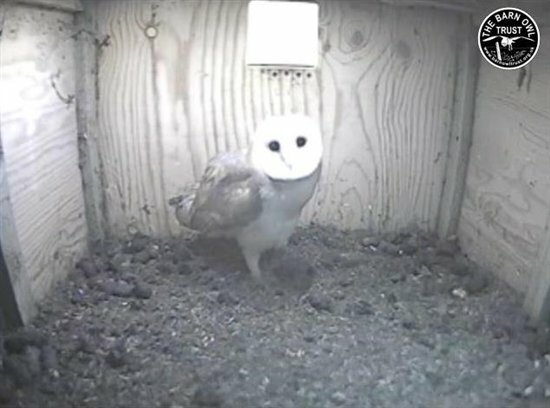 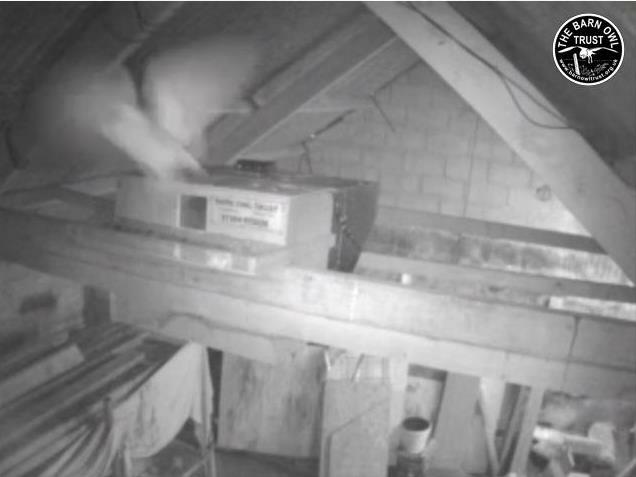 21:23 It came in onto the tray, then on top of the box and then flew to the back of the barn, out of view. 23:12 I thought there may have been a food delivery outside (quick, excited rasps from the juvenile) but it hasn't come into the barn and is continuing to give its usual call.